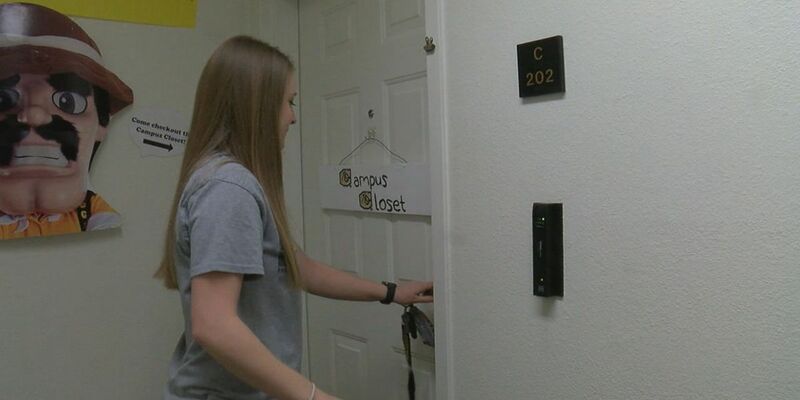 Cameron University's Campus Closet has been a success in providing students different resources that they may need. LAWTON, OK (TNN) - Cameron University’s Campus Closet has been a success in providing students different resources that they may need. Cameron University’s Campus Closet has helped provide clothing, household, and hygiene supplies for students to get at no cost. In just one semester of it’s opening, Over 100 students have used this resource. Student Alumni Association President, Karley Patterson said having this resource means a lot to the students who may not be able to drive, or simply don’t have the funds to purchase these items themselves. “For me it just means so much that we can offer them something that they wouldn’t be able to get on their own, and I think it’s great because it has just made their time at Cameron easier, and I think everyone at Cameron wants that for its students," said Patterson. On Giving Tuesday, which is a national event in November, Cameron University chose to raise funds for The Campus Closet. They raised almost $2,000. Patterson said they are currently in the process of deciding what to buy that the students will benefit from the most. She said they are always accepting donations. Patterson is graduating this year and said she hopes that the Student Alumni Association keeps on with this great work in the future. The Campus Closet is available for students to use Monday through Friday from 8-5 p.m. If you are interested in donating, you can drop items off at The Cameron Village McMahon Center. A drop off box can be located inside the doors.